New Canopy survey results an invaluable resource for printers and their customers. June 17, 2013, Toronto: Large-volume paper users, including Sprint and over 700 publishers and printers with ecopaper policies in place, are welcoming today’s release by Canopy of North America’s Green Print Leadership Report, a resource that will help them meet corporate sustainability goals. The conservation group’s ‘first of its kind’ report identifies North American printers taking steps to go beyond the basics on environmentally responsible paper sourcing. The report profiles printer leaders engaging in procurement policy development, forest conservation initiatives and voluntary sustainability reporting. Three of North America’s five largest printing companies*, including RR Donnelly and TC Transcontinental took part in the comprehensive survey. Fourteen of the participating companies have developed procurement policies with Canopy that put them on a solid path towards enhanced forests conservation measures. “We’ve been very pleased by the response to Canopy’s survey and especially with the growing number of printers showing an increasing level of conservation leadership,” said Marcus Ginder, Print Campaigner with Canopy. “The companies we work with are looking beyond tri-certification to support printing firms that take an active role in advancing endangered forest conservation. This report helps deliver that”. The Green Print Leadership Report is being welcomed by large-scale consumers of paper and print services. Sprint, who just last year updated their Paper and Print Procurement Policy with Canopy looks forward to reviewing the results. “As a major print customer with a robust paper purchasing policy, Sprint is committed to working with printers that meet our goals to help us reduce the footprint in the forest,” says Kathleen Baker, Chairperson of Sprint’s Paper Leadership Council. “The forest conservation work Canopy advocates is well aligned with our vision”. Canopy Print Campaigner Neva Murtha points out that 36 companies covering 250 North American printing plants participated in the survey, and while 92% have Sustainability Policies only 15 (42%) of those were publicly available – a vital factor for customers assessing the merits of respective policies. Canopy’s Green Printer Leadership Report will be circulated to business leaders such as Random House, Time, Scholastic, Sprint and numerous other existing and potential customers, including Canopy’s 700+ signatory companies and those with a stated interest in forest conservation. It will also be shared with North America’s top 100 printing companies*, some of whom are already addressing paper sourcing to meet the growing CSR needs of their customer base. 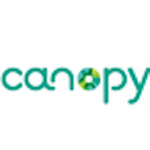 Canopy is a not-for-profit environmental organisation dedicated to protecting forests, species and climate. Canopy collaborates with more than 700 companies to help ensure their supply chains are sustainable and believes that businesses can be powerful partners in implementing innovative solutions. Canopy’s partners include Sprint, TC Transcontinental, Random House, The Globe and Mail, Scholastic and Lonely Planet. Canopy’s work relies on the support of individual donors who share our passion for the planet. Editor’s Note: Though there are many criteria by which to identify green printing, Canopy’s survey focuses on forests conservation engagement, cutting edge ecopaper procurement policies and transparent sustainability reporting because that is our area of expertise and it encompasses a significant part of a print company’s environmental footprint. Through the survey we have credited companies for other environmental initiatives and projects in order to ensure the full range of a company’s efforts are accounted for.